BP plans to use chemicals that kill off coral larvae in the event of an oil spill near a unique coral reef in the mouth of the Amazon river. The British oil giant intends to drill in the region in August 2018. The company’s environmental impact assessment (EIA), submitted to the Brazilian authorities for the project, submitted in 2015, states it will use Corexit 9500 to clean up potential spills. Corexit is a chemical dispersant which was used extensively during the Deepwater Horizon disaster in 2010. In 2013, scientists found that the chemical had had a negative impact on coral reefs in the Gulf of Mexico. In 2010, an explosion at BP’s Deepwater Horizon oil drilling platform killed 11 workers and spilled 200 million gallons of crude oil into the Gulf of Mexico, with devastating effects on marine life and coastal communities. BP was fined a record $20.8 billion for the disaster, though three quarters of that amount was tax deductible. Researchers from Mote Marine Laboratory focused on two coral species – mustard hill coral and mountainous star coral – and found that the chemical made the coral less likely to survive, with the chance of death increasing according to the level of concentration the organisms were exposed to. Even at low levels of concentration the scientists found that mountainous star coral had significantly low survival rates. Now there are fears that the chemical could have a negative impact on the unique coral reef at the Amazon Mouth. Scientists believe that the vast ecosystem is home to dozens of undiscovered species. Campaigners have warned that oil drilling near the area poses a major threat to the reef. 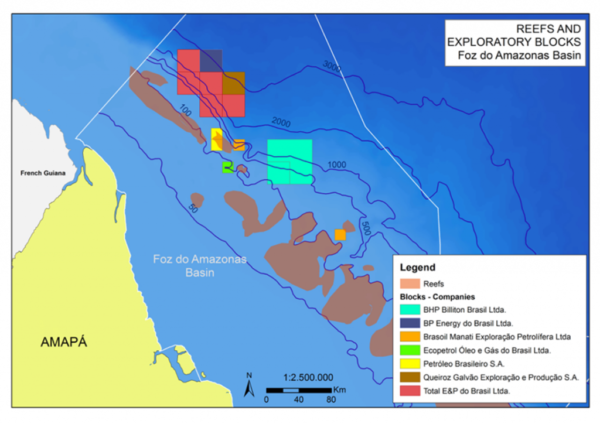 BP was awarded exploration blocks in the Foz do Amazonas basin in 2013 and plans to begin drilling in August next year. 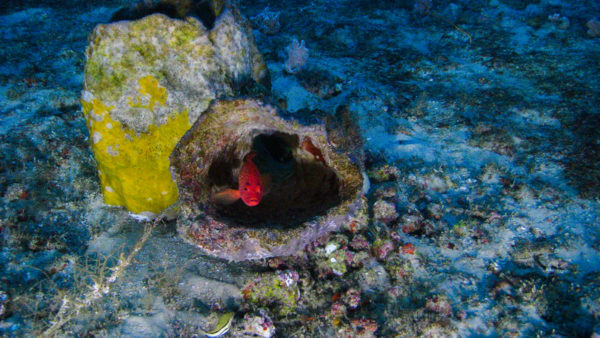 The company filed its EIA in March 2015, before the full extent of the Amazon reef had been discovered. I’m amazed by how little science there is on the issue. At the time of the Deepwater Horizon disaster, the impact of Corexit on wildlife was largely unknown. Under Jackson, the EPA asked BP to look at alternatives to Corexit, while the agency also asked the company to scale back its use of the chemical. At the time, Nalco, the company which manufactures the dispersant, repeatedly insisted the chemicals were safe to use. It is unclear what action Ibama, the Brazilian environment agency regulating drilling near the reef, will take on Corexit. Currently, all chemical dispersants used in response to oil spills incidents in Brazilian territory can only be used after obtaining the product registration with the agency. Corexit EC9500A is currently registered with Ibama. BP plans to clean up a potential oil spill in the area have been further cast into doubt by a study which found that remote operated vehicles (ROVs) would struggle to operate in the Mouth of the Amazon. During the Deepwater Horizon disaster, ROV teams worked non-stop to try and contain the spill, as this piece in National Geographic from 2010 explains. But a technical paper prepared for the Rio Oil & Gas Expo and Conference 2014 casts doubt on the ability of oil companies to use existing ROVs in the mouth of the Amazon. The report – which you can read a summary of here – was lead by engineer David Frantantoni, and suggests that is it uncertain whether ROVs and other vehicles could operate in the intense currents found in the mouth of the Amazon. A section reads: “Opportunities exist to apply recent technological innovations such as high-endurance autonomous underwater and surface vehicles. However, the ability to effectively operate robotic vehicles in a western boundary current regime such as the NBC has yet to be demonstrated.” Frantantoni declined to comment to Unearthed.